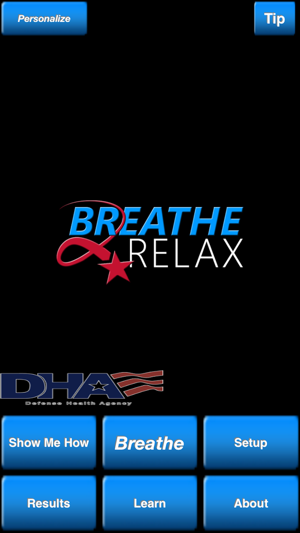 Breathe2Relax is a portable stress management tool which provides detailed information on the effects of stress on the body and instructions and practice exercises to help users learn the stress management skill called diaphragmatic breathing.Breathing exercises have been documented to decrease the body’s ‘fight-or-flight’ (stress) response, and help with mood stabilization, anger control, and anxiety management. 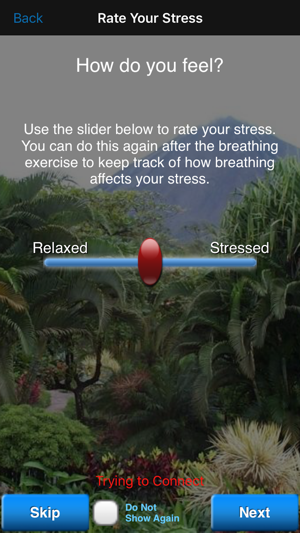 Breathe2Relax can be used as a stand-alone stress reduction tool, or can be used in tandem with clinical care directed by a healthcare worker. 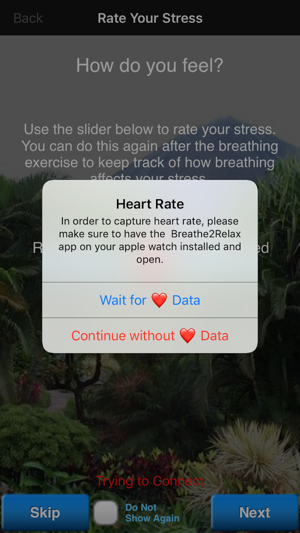 Breathe2Relax now uses HealthKit and your Apple Watch device to measure your heart rate throughout your breathing exercise to help provide an even more complete picture of the relaxation experienced. You can now take advantage of your Apple Watch and HealthKit to help illuminate the impact of a breathing exercise had by tracking your heart rate while you breathe. 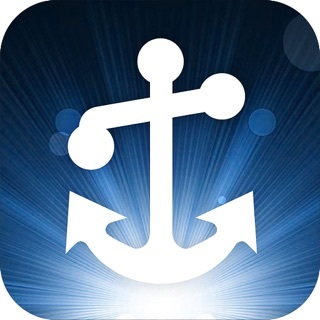 I got this app to help my 10-year-old deal with anxiety and panic attacks. It turns out that I use it as much as she has. Not only does it help me relax, but repeated sessions help quiet my mind and help me fall asleep. My only complaint if you could call it that – it’s actually a suggestion – is that options for 10 minutes, 15 minutes, and 20 minutes cycles be provided. I would prefer not to have to start the cycle over after every 16 breath session. However, it is amazing what can be accomplished in 16 breaths. 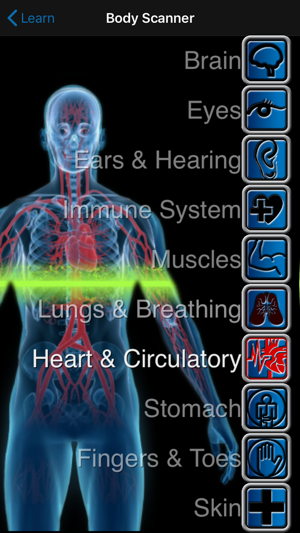 This app has a simplistic layout, which breaks down the information into easy to understand preset categories. 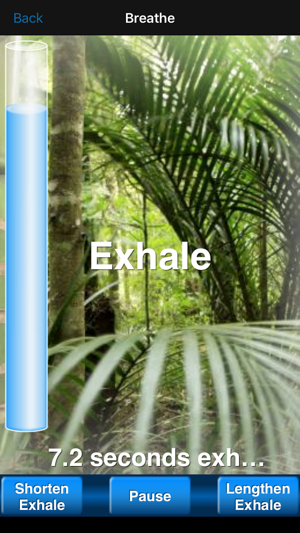 Providing reason and relevance as well as practical guided skills for managing stress through breathing. As a community mental health case manager I will be encouraging my transition age youth clients to use this tool. It will also help me to practice self care in my daily life. My one fault with this app are the missing instructional videos. “Show Me How”, How to Breath, Biology if Breathing, and Effects of Stress on the Body” all have an error stating “No Video by that ID”. The terms & conditions updated and were very strongly worded. It sounded like if you used this app they were reporting your info to the government. Most T&Cs have some data collection for the developers use, but this seemed so over-the-top that I deleted the app. Not interested in being involved in some science experiment. 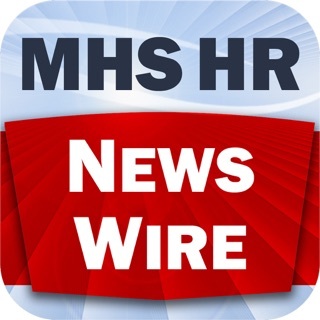 The app is well designed and worked well so I’m bummed that I had to get rid of it. The interface wasn’t very attractively designed though.